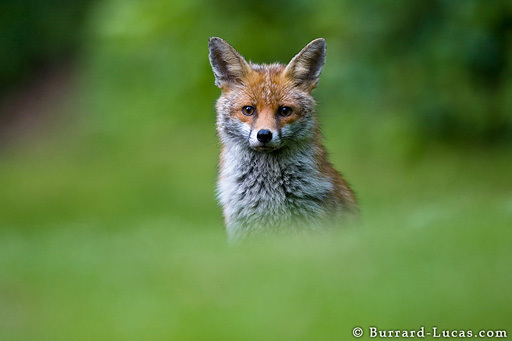 The red fox is an evolutionary success story – it thrives in a number of different environments, including towns and cities, and is a regular visitor to gardens throughout the UK. The red fox is actually believed to have the widest range of any terrestrial carnivore in the world, since it is native to North America, Europe, Asia and North Africa. The fox owes much of its success to its omnivorous and highly opportunistic feeding habits. This photograph was taken on a summer's evening in our own garden. We often see this fox picking up crumbs from underneath the bird feeder!